The Rebel Sweetheart. : Spreading Hope on Mesothelioma Awareness Day. Unbeknownst to many, there is a thing called 'Mesothelioma Awareness Day', and it's celebrated every year on September 26. Meso-what?! Mesothelioma, or more precisely, malignant mesothelioma, is a rare form of cancer that affects the membrane lining of the lungs and abdomen. Mesothelioma is most commonly caused by exposure to asbestos, and is the most deadly among all asbestos-related diseases. Symptoms or signs of mesothelioma may not appear until 20-30 years (or more) after exposure to asbestos. Such is the case of Heather von St. James, who was diagnosed with pleural mesothelioma in November 2005 - barely three months after giving birth to her child. When Heather was a little girl, her father worked in a construction company, where asbestos fibers are commonly used. Her dad would come home from work with his coat covered in white dust, and little did the family know that exposure to his clothes would put Heather's life at risk. Heather was given just 15 months to live, but with proper treatment, support from her husband and family, and with her daughter as her inspiration, she was fortunate enough to make it through the ordeal. It's been eight years since Heather survived the big C, and she has made it a mission to spread awareness and help mesothelioma victims around the globe. 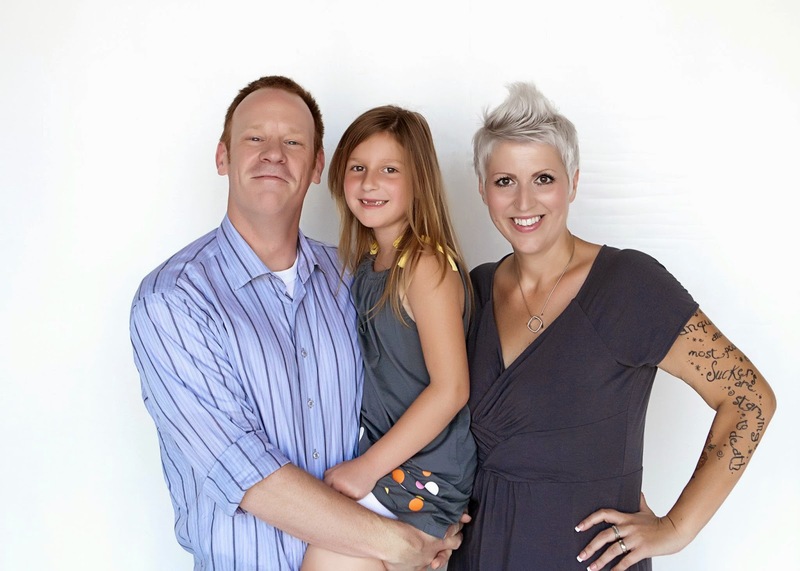 Heather, with her husband Cameron and daughter Lily. Today, I am joining Heather and her family in raising awareness for mesothelioma. And in honor of Meso Awareness Day, I am giving my voice to the victims of this deadly disease. You too, could help. One simple message could save lives. September 26 is Mesothelioma Awareness Day. - Asbestos fibers are invisible to the naked eye. - In the US, roughly 30 million pounds of asbestos are being used each year. - Asbestos remains as the number one cause of occupational cancer in the US, even 30 years after the peak of its use. - Asbestos was once used in common household items such as toasters and hairdryers, and over 3,000 consumer products. - Asbestos can still be found in many homes, schools, commercial and industrial buildings. My dad was diagnosed with the same thing two years ago but he also has Emphysema. Thanks for spread the world. Prayer go out. This is one form of cancer which many are unaware of. Asbestos causes it and asbestos used to be used virtually everywhere! It is even dangerous when taken down or away and you should always have a professional do it. I have never heard of Mesothelioma. What a tough journey for Heather but I'm glad she made it through! This is a great cause to support. My mother in law had breast cancer and the treatment is horrible. My grandfather died last year of cancer and it's so sad that most people nowadays get this kind of illness. I hope more people spread this awareness!